This darling gown was made in England in the early 1900s. 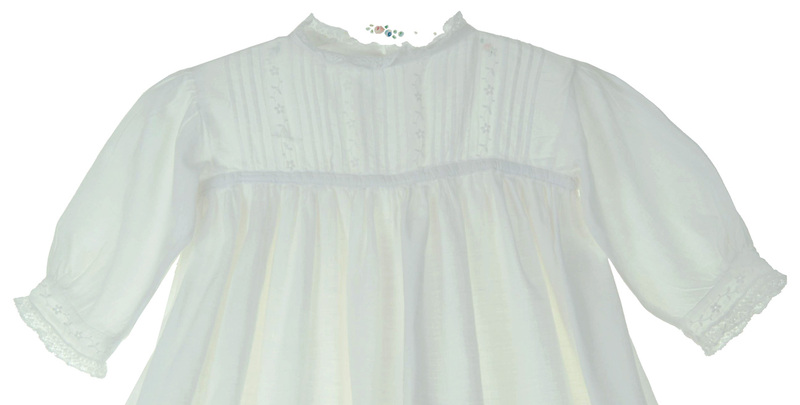 It features rows of pintucks and embroidery on the lawn bodice. 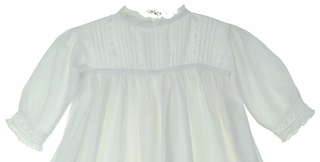 The neckline and the long sleeves are finished with soft white lace. Typical of the period, the gown closes in the back with ties at the neck and yoke. 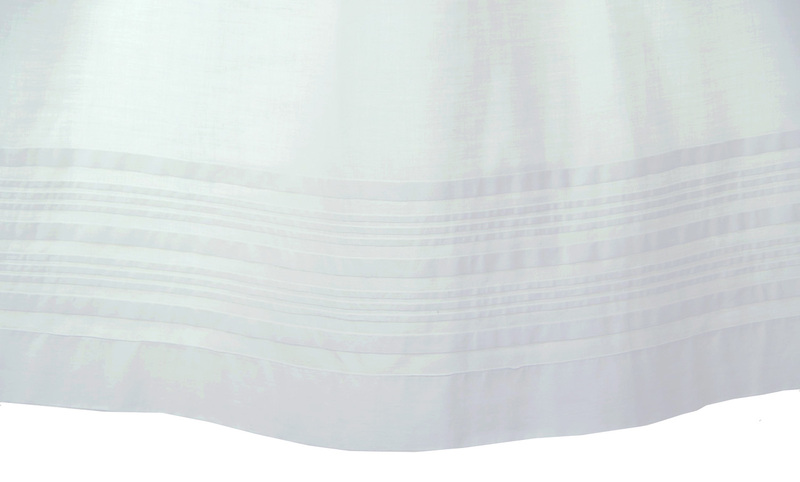 The long handkerchief linen skirt is finished with rows of pintucks above the hem. 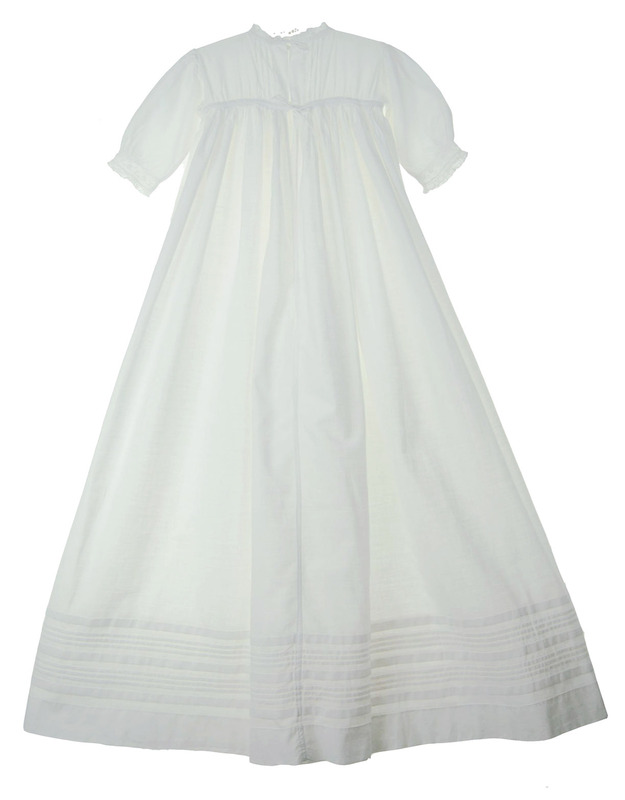 A lovely heirloom christening gown, baptism gown, or dedication gown for your baby boy or girl! 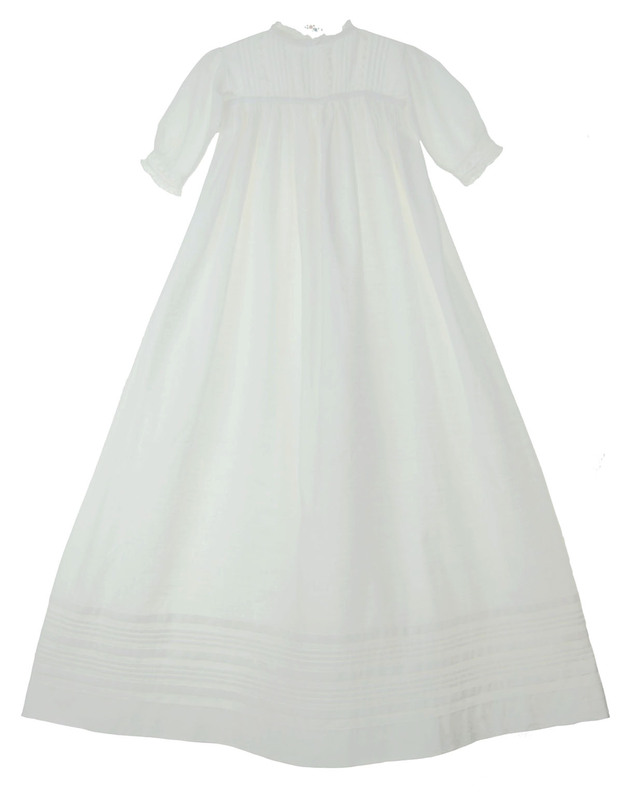 This gown is sweet and simple enough that it would make a wonderful heirloom family gown as well.